Sox Type 9D Seal of Star / Moon. Auto Equip Until 8th degree. 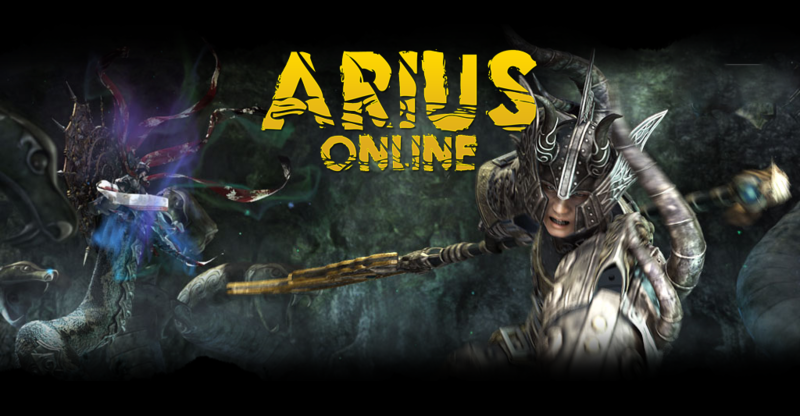 Arius Points per hour 1 from lvl. 90. Beta opening date 6th of January. Official opening date 10th of January. 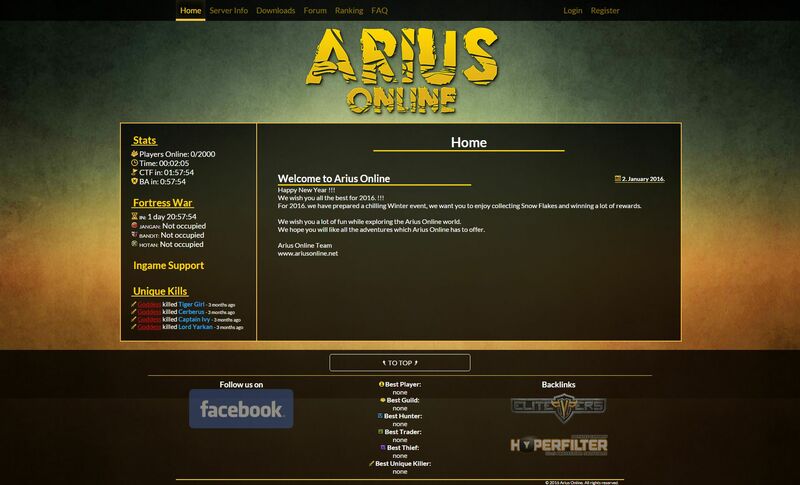 We would like to present our new project, Arius. After a long time with Eryx, we decided to start a new project with a different cap and we are hoping that we could deliver the same quality of game-play, security and stability which we delivered through the past 2 years. We have the same team on-board, so it is kept easy & simple. No new people are added since we only trust ourselves to avoid corruption and so on. What we relay on is the trust which is built and gained through the past 2 years. Although we've had mistakes, we were trying to get better and to learn from them. Our main target is to give you an enjoyable server, we never do a lot of noise, we work in silence and we have learned this after being around here for long time. Now you can click on the Server Info tab on our website and you can see our server features explained in turkish & arabic, More languages will be added. To keep it simple, it is not hard neither so easy. We made sure to keep it moderate so you don't get bored of getting the max level neither feel it is so fast. We believe leveling up also still entertaining, so it shouldn't be passed in a few hours. Basically, you will need a few days to reach our max level. Heaven Chain - added dull/stun probabilities 20%. Shield protection increased block rate from 10% to 15%. Windless Spear increased dull probability from 10% to 20%. Soul Spear Emperor Increased stun probability from 15% to 25%. Added Flying dragon Flash to Flying dragon series. Autumn wind Red removed damage reduction. Snow storm Multi shot increase mag.atk.pwr from 452~678 (300%) to 904~1456 (315%). Ice Cloud Force lv13 537~806*(100%) to 658~1097 (100%). Thunder Dragon Force lv13 increased mag.atk.pwr 522~970(100%) to 658~1097 (100%). Force Piercing force increased magical damage from 18% to 22%. Crane's Thunderbolt mag.atk.pwr 989~1837 (300%) increased to 989~1837 (315%) * Only percentage. Moving speed increased to 100% and cooldown is 15seconds. (Cooldown increased so you cant abuse bugs). Fire shield Emperor increased effects from 78 to 100. Flame Body Trial increased phy. damage from 9% to 13%. Flame Wave Hell fire reduced damage reduction from 15% to 5%. Vision fire / Fire Combustion increase range to 20m on both skills. Sprint Assault - Reduced stun duration from 5 too 3. Shield Crush - Reduced knock back probability for 20% for each level. Pain Quota reduced damage disperse by 10% for each level. Physical Fence reduced damage absorption by 10% for each level. Magical fence reduced damage absorption by 10$ for each level. Guard / Mana tambour reduced absorption's for 11% for each level. Dancing of Valor/Magic reduced damage increase by 10% for each level. Dancing of Fight/Wizardry reduced damage increase by 10% for each level. Booming Wave added 45% Knock-back probability. Tuning Sound increased absolute dmg from 3405 to 5405. Holy Spell / Holy word reduced from 100% to 60%. Charity from 50% to 25%. Bless Spell - Increased Cooldown to 8 minutes. Innocent - increased cooldown to 30 seconds. Integrity - increased cooldown to 30 seconds. Group Healing Breath - increased cooldown to 20 seconds. Healing Favor - increased cooldown 15 to seconds . Group Healing - increased cooldown to 20 seconds. Healing Division - increased cooldown cooldown to 15 seconds. Holy Group Recovery - increased cooldown to 15 seconds. Group Recovery - increased cooldown to 15 seconds. Multiple Job Suits available for purchase, they mostly differ in blue stats and price. Bought for gold or tokens. Special trade route added through Jangan Cave. Teleports available at designated Job NPC with locations of special goods market marked on map. Red Tokens:Obtained by exchanging 2 Ice Trophies from Capture the Flag. White Tokens:Holy Water Temple uniques drop up to 10 White Tokens. Some other selected uniques will drop these tokens also. Details will be posted on our website FAQ page. Blue Tokens: Bought for 250m (250.000.000) gold. Yellow Tokens: Obtained by jobbing. Tokens are required for buying Talismans to get the Seal of Moon upgrader scroll, Seal of Moon set, Item Mall stuff and Special Scrolls. Seal of Star items are droppable in Alexandria. SoS weapons, gear and accessories are +2 from normal last tier gear. Seal of Star gear is divided into 4 groups: Strength, Intelligence, Health, Mana. Each of these groups provide extra Blue Stats when collecting 2, 4 or 6 items. SoS weapons and accessories have no groups. 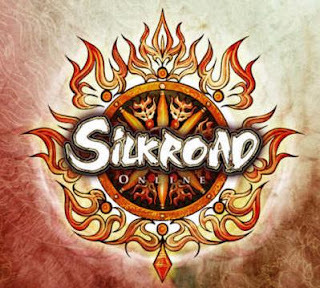 In order to obtain SoM weapon you will need to collect 8 talismans and exchange them at Hotan Guild Manager for a SoS to SoM upgrader scroll. 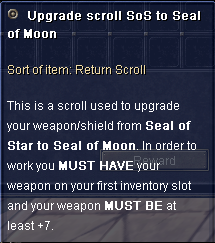 You have to use the scroll on your Seal Of Star + 7 weapon to transform it to Seal of Moon +0 weapon. Talismans are obtained by Forgotten World (2 pieces), Holy Water Temple (2 pieces) and Tokens (4 pieces). in addition, alternative way for getting SoM gear (not accessories) is using upgrader (SoS to SoM) which is droppable by the Arius unique. 25 Arius points gift scroll. server, Basically Roc drops (The Roc Set) which is equally to our moon set beside many other drops. 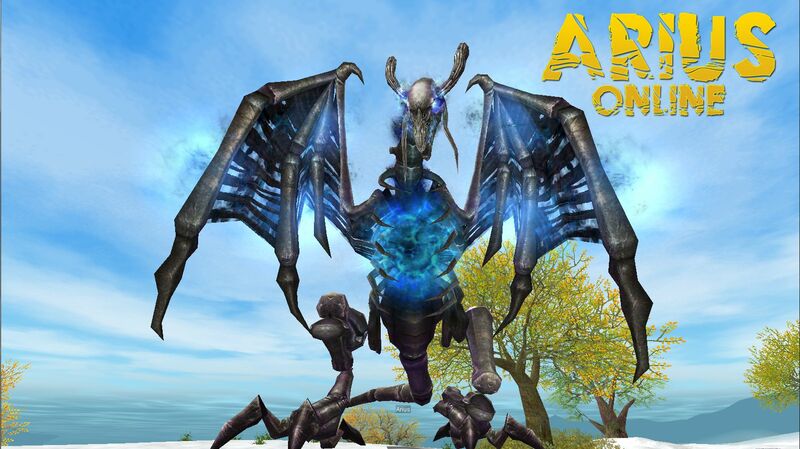 Arius is going to be our main unique of course is edited to fit our server cap, Arius will appear in all the map and it will spawn 3x elite mobs with valuable rewards. Entrance is limited 2 per day for non-premium players, with premium you get extra 2 which is in total 4 entrances. Every Unique can drop up to 10 White Tokens. which are +2 better than normal 9D items. Here are the entrances for the job temple as well. of course it is edited to fit our cap and it appears in jangan tomb B6. FW top killer will be announced. Wanted System:One of the features that adds more fun to the job, so for every 10 kills u get granted a buff we applied a maximum on kills which is 50. Up to 200 different Titles able for purchasing via Arius Points or Tokens, you can select which one you want to wear via website. You will be able to attach up to 3 Sockets on every SoM item(except Roc Gear). Every Character has its own signature so you can show off your Char. To get the picture you need to be logged in on our website and open your character then at the bottom of the page you will see your signature.